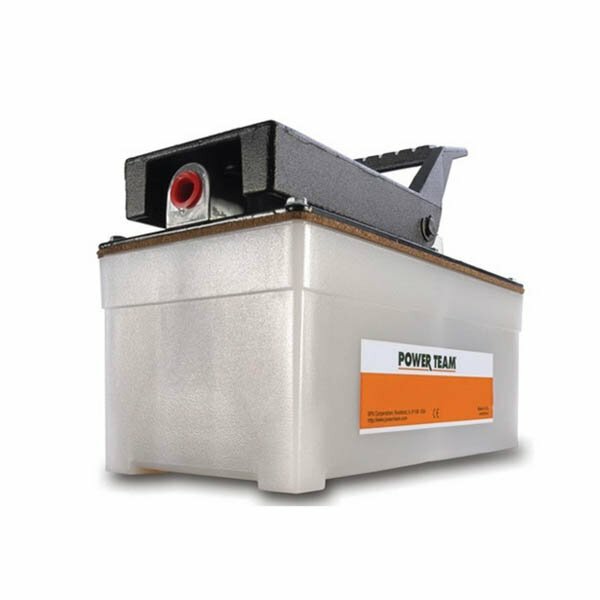 700 bar compact hydraulic air pumps from Power Team for either single-acting or double-acting cylinders are tailored to a range of requirements where air is the energy source of choice, where electricity is unavailable or sparks are a concern. Operates at 3-8 bar shop air pressure at the pump. 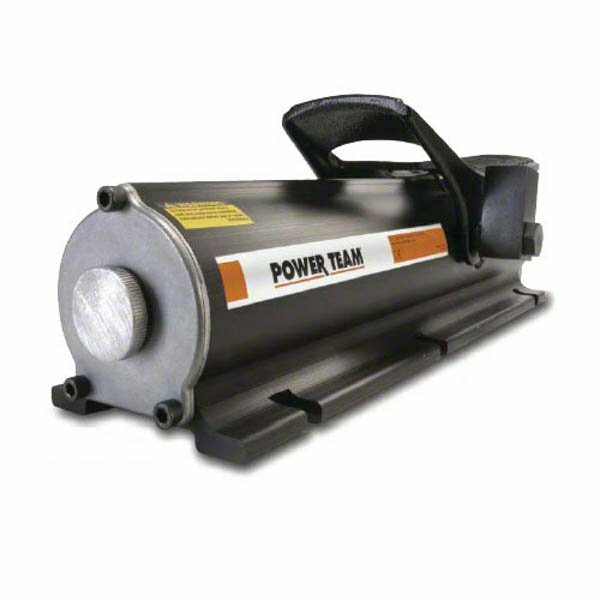 Lightweight and portable single-speed hydraulic pumps, designed to drive single-acting cylinders. Simple, convenient pumps that are ideal for powering hydraulic tools and single acting cylinders. Two-speed air pumps for rapid, low pressure oil delivery to quickly advance a cylinder or hydraulic tool. Get p to 220 bar rapid oil delivery with these single outlet pumps, delivered at up to 9460 cm3/min. A series of 2-speed, rotary style air pumps for rapid delivery at a low pressure. Oil is delivered at up to 279cm3/min. Heavy-duty pumps with a rotary style air motor for use with cylinders up to 150 tons in conditions where there is no electricity. 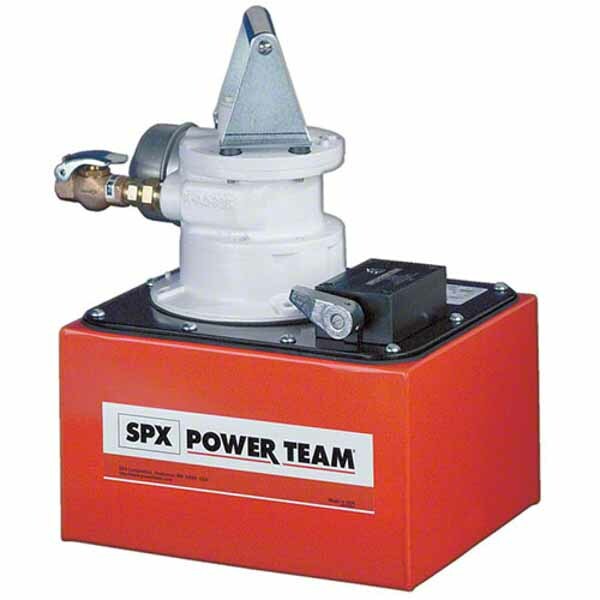 Our SPX air hydraulic pumps can be used in virtually any place that efficient hydraulic pressure is required. They are ideal for usage in areas where air is the energy source of choice, such as if electricity is unavailable or sparks are a concern. 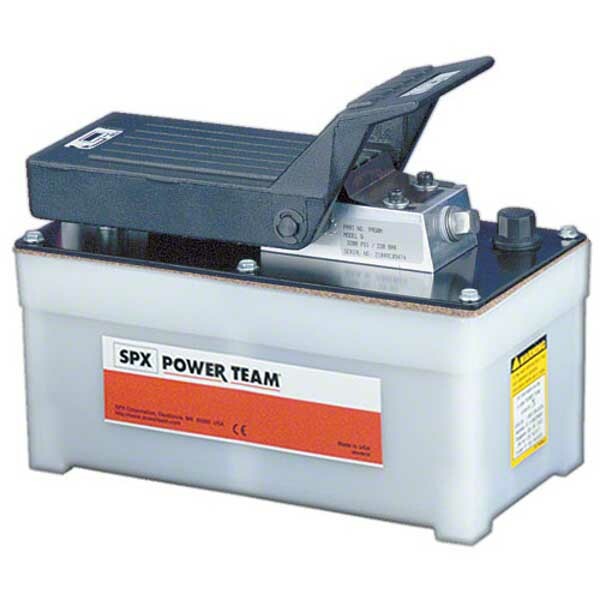 Whether you’re looking for an air hydraulic pump that’s lightweight and convenient, or heavy-duty and fast – we will have the ideal pump to meet your specifications here at SGS. 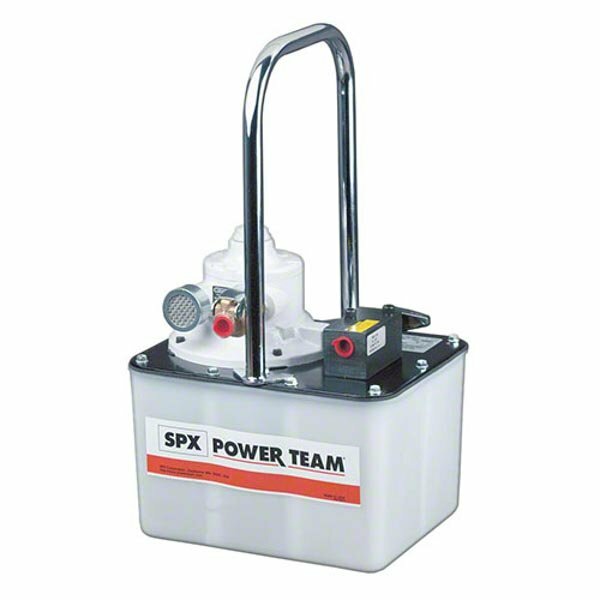 Constructed for safety, durability and the delivery of higher oil flow, our Power Team air hydraulic pumps provide high quality performance, with a choice of either single-acting or double-acting cylinders that are tailored to a range of requirements. With air hydraulic pumps, no additional motor starter or other external controls are required and they can maintain pressure with no energy consumption. What’s more, they can generate high pressures whilst being packaged in smaller systems. Here at SGS, we have hydraulic experts on hand to ensure that all our products meet the highest performance, safety and quality standards. 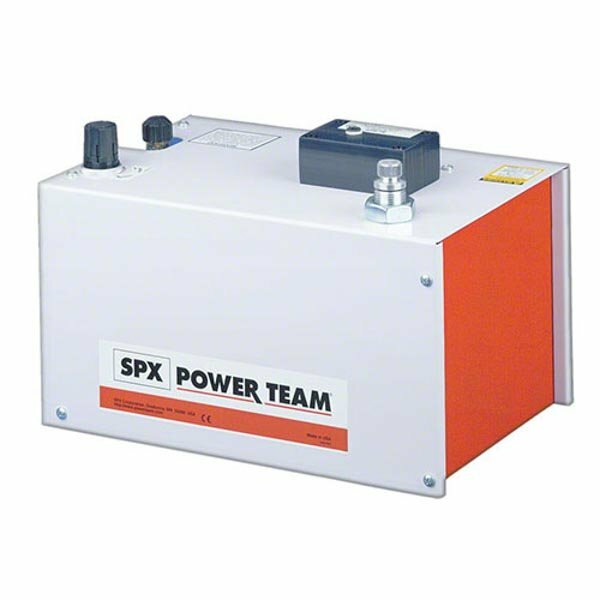 Our air over hydraulic pumps are manufactured by industry leaders, Power Team and as such, come with a Lifetime Marathon SPX Warranty as standard. We also throw in a free 60-day returns policy for your added peace of mind. Take a look at our extensive range of air hydraulic pumps, with a range of single-speed and two-speed air pumps available to help you get the job done.